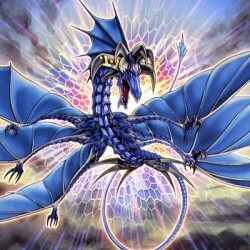 You can Special Summon this card (from your hand) by Tributing 2 monsters with 2000 or more ATK. During either player's Battle Step, when this card battles an opponent's monster: You can target the mo.. When a face-up Fish, Sea Serpent, or Aqua-Type monster you control is targeted for an attack: You can banish this card from your Graveyard to target the attacking monster; negate the attack, and that ..